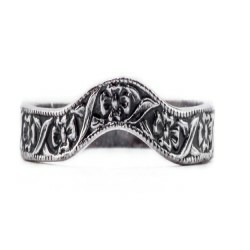 These antique and vintage wedding bands are made using an extensive collection of hand engraved steel rolls, most dating back to the 1800s. 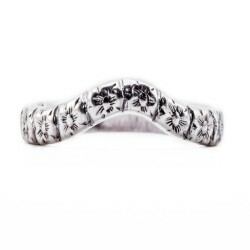 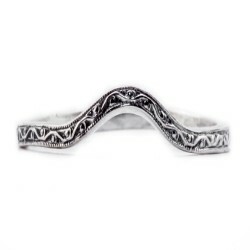 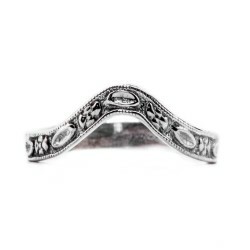 Many of the bands are curved so that they may fit closely against another ring in our antique engagement rings section. 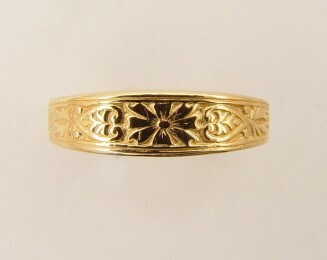 No matter which vintage wedding band you choose below it can be made to fit perfectly with any vintage engagement ring. 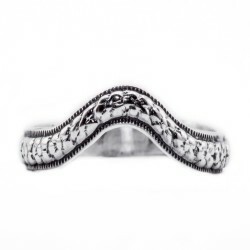 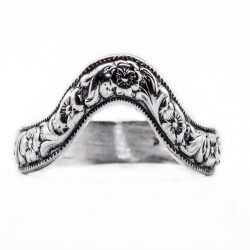 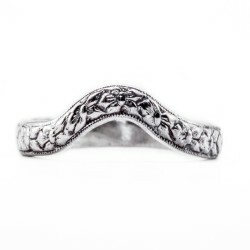 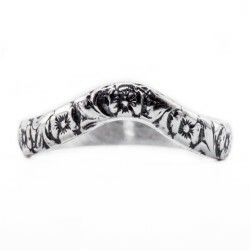 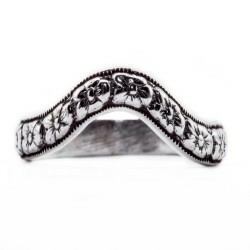 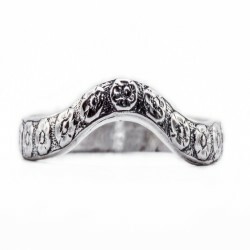 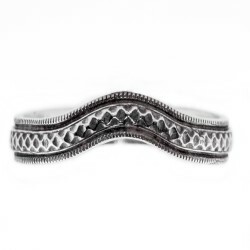 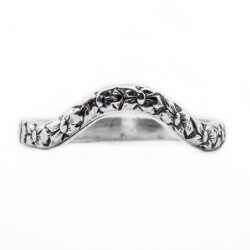 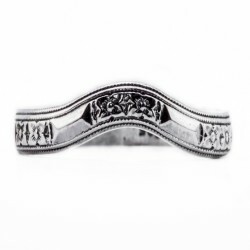 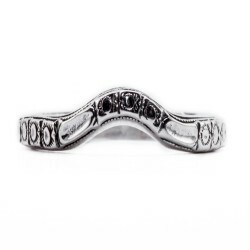 Created using authentic, not replicated, die-sets, engraved steel rolls, and hubs from the actual time period to give you the most genuine antique and vintage wedding band look and feel.